How Do I Dress Like a Woman? Whether you're gearing up for a Halloween costume party or you're part of your local cross-dressing community, dressing up like a woman can be difficult. However, letting your inner woman shine is easy with a few simple basics on femininity from top to bottom. With the basics, practice makes perfect. You'll be a woman in no time. If you're a man who wants to dress as a woman, start at the top with the hair. Long hair is the easiest to style in a more feminine way, but it's not always necessary to have long hair when dressing like a woman. What hair needs to be is feminine itself. 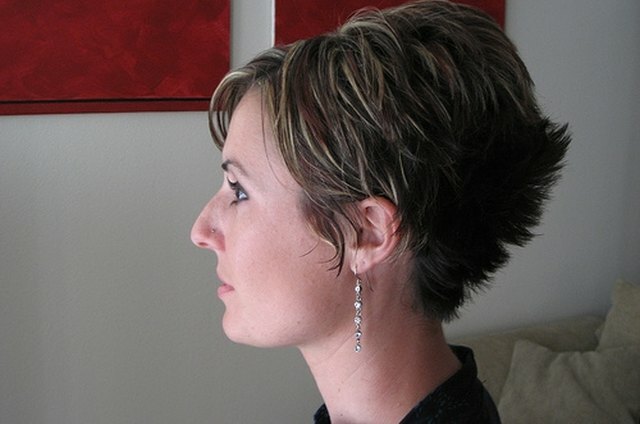 Even short hair with a flip to it is more feminine than short, flat hair. Use mousse to give volume and shape to your hair, whatever the length, and that will increase your womanly appearance. Bangs can be another addition to long or short hair to add femininity. Also, hair can be natural or a wig. Next down the line, and probably most important, is clothing. For a Halloween costume a dress is probably the best way to get the "woman" look across. However, for everyday wear a dress is not always appropriate. Men tend to be more straight all the way down, and women are not. With pants, the womanly curves you desire can be achieved through clothes with a cinch and a flare. Flared jeans with a top that has a belt or tie just below the breasts will help create those curves. Any colors will do, but make sure to match as best you can. Depending on your height, high heels may or may not be an option. If you're short, opt for heels when they'll work with your outfit. When they won't, or if you're tall, opt for flats. Any feminine sandals will work for dressing like a woman. If you choose open-toed shoes, get a pedicure. Freshly painted toenails will make your feet and overall look more feminine. Practice walking in heels until you have it down, because you never know when a fancy dinner will come up and heels will be a must. Once your hair, outfit, and shoes are those of a woman, the only thing left is the accessories. A purse is a definite need because, as a woman, you'll need to carry around personal items like makeup along with standard items like a wallet and cell phone. 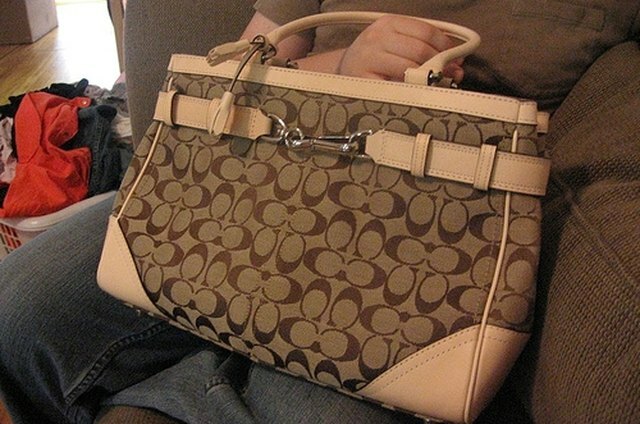 A purse can be any color, but at first stick with brown, white, or black and switch depending on your outfit. If you're wearing a brown shirt and brown shoes, a brown purse should be what you choose. Other accessories, like jewelery, should be sparse and dainty. A two-inch-thick chain and a watch with a three-inch-diameter face will not work. Try a thin silver chain necklace with a small pendant, small diamond studded earrings, and a ring or two.